Network protection helps to prevent employees from using any application to access dangerous domains that may host phishing scams, exploits, and other malicious content on the Internet. You can audit network protection in a test environment to see which apps would be blocked before you enable it. 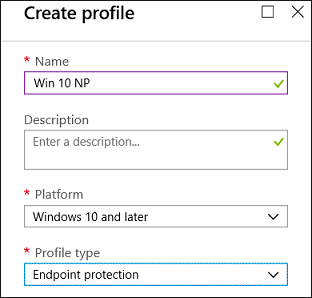 Use the ./Vendor/MSFT/Policy/Config/Defender/EnableNetworkProtection configuration service provider (CSP) to enable or disable network protection or enable audit mode. You can use the following procedure to enable network protection on a standalone computer or for domain-joined computers. On a standalone computer, click Start, type and then click Edit group policy. On a domain-joined Group Policy management computer, open the Group Policy Management Console, right-click the Group Policy Object you want to configure and click Edit. Expand the tree to Windows components > Windows Defender Antivirus > Windows Defender Exploit Guard > Network protection. Audit Mode - If a user visits a malicious IP address or domain, an event will be recorded in the Windows event log but the user will not be blocked from visiting the address. To fully enable network protection, you must set the Group Policy option to Enabled and also select Block in the options drop-down menu. Click Start and type regedit to open Registry Editor. Use Disabled insead of AuditMode or Enabled to turn the feature off.